Do Good As You Go. 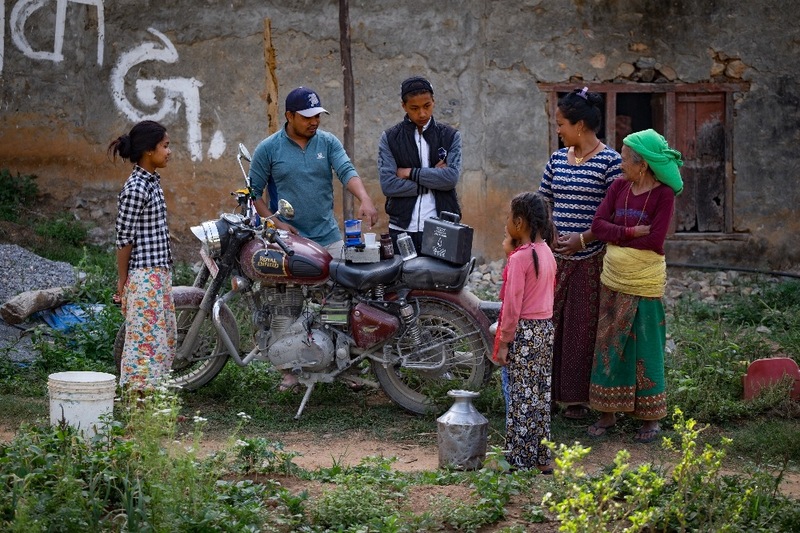 Clean Drink started with a simple plan to take one water purification system to a school in Kathmandu, Nepal. 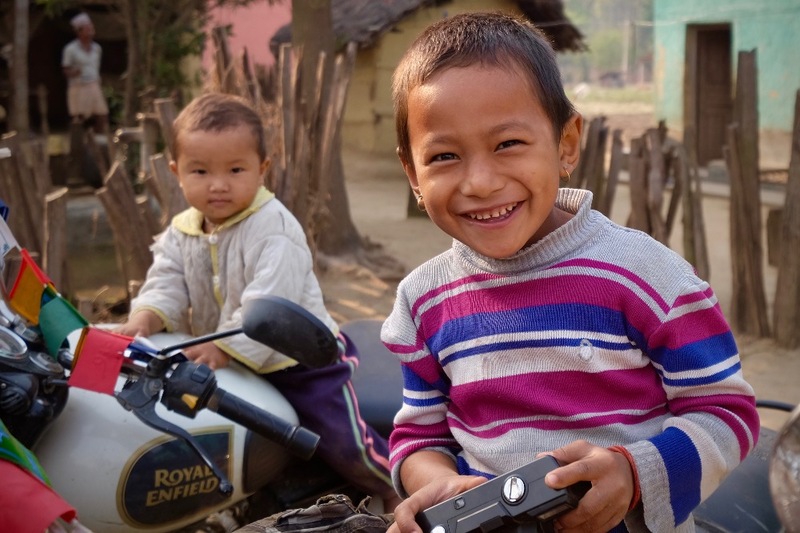 It quickly evolved into an ambitious plan to deliver eight systems to remote schools and communities in the low-resource regions of western Nepal. 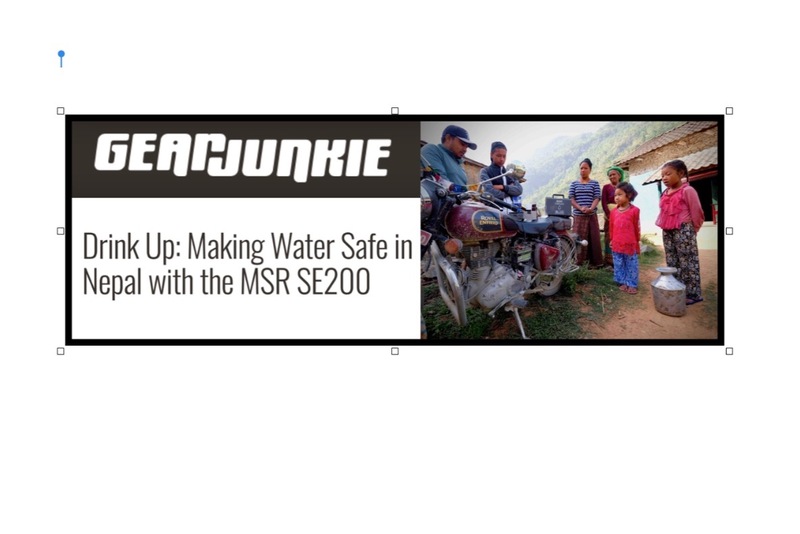 That doesn't sound like a big deal, but each MSR SE200 Community Chlorine Maker has the power to produce enough water in just 5 minutes, to serve a village of 200 people. Better yet, it costs less than a nickel per use. That little grey box in the photo below has the ability to change the lives of an entire community of people living in places where waterborne illness kill thousands of people every year. After just a few weeks traveling around Nepal we had brought clean water potential to more than 1,400 people. And we're doing it again. After a successful pilot project, we realized we were onto something. We knew we had the ability to pair adventure travelers with MSR's technology, to get people far off the beaten path, the tools they need to not just survive but thrive. Our next project hits the ground on October 8th, 2018. For this trip, our LAST MILE TEAM consists of 8 intrepid travelers ready to deliver 10 MSR SE200 units into remote Nepal. If all goes well, we hope to provide clean water solutions to 2,000 people––in just 15 days. But that is not all. We also have trips planned for March and April of 2019. We also received an invitation to bring our campaign to Ecuador. That trip rolls out in November of 2018. We're pushing towards helping as many as 10,000 people by the closeout of 2019. The only thing holding us back, is funding. Through careful planning, and given the small size of our organization, we're able to target places in need of our clean water efforts and dedicate every dollar to delivering that solution. Our last trip provided water to 1,400 people at a cost of just $3.38. That is clean water for five years! On the next trips we hope to lower that to under $2 per person reached. We have the ball rolling but need you to keep it moving. Your donations make our efforts possible. Our self-funded team of adventurers has volunteered to cover the expense of getting the water systems to Nepal an Ecuador, but that does not cover all of the costs associated with these lifesaving efforts. We need funds to help purchase this amazing technology. Additional costs always creep up including the price of buckets, hoses, and other water storage tools these nice people need. Every dollar goes directly to empowering people with the ability to make their own safe water. Please visit the Clean Drink Website to learn more about our efforts, and how you make the biggest difference. Without you, these people cannot get the clean water they need and deserve. With your help, we'll get to them. And we have already proven our efforts are keeping people healthy, and possibly alive. 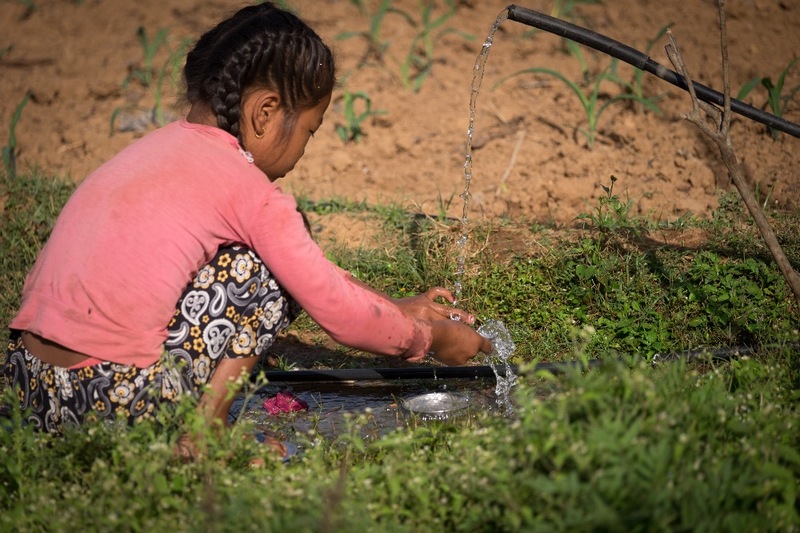 Funds gathered through the Clean Drink Nepal campaign are used to purchase water tanks, hoses, and other essential supplies. 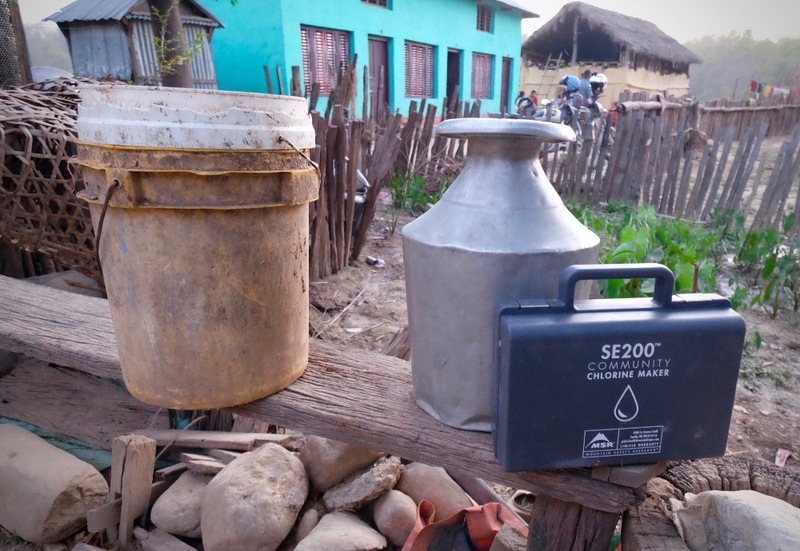 These funds are used to empower locals to purchase basic goods like salt for the chlorine maker and containers to help share the chlorine throughout the community. It pays for fuel and transportation costs for volunteers to reach villages sometimes so distant it takes days to reach them. No penny is wasted. Every dollar donated during our last campaign provided water for 1.7 people for the next five years. We hope you will become a valued member of our tribe. We are a small group. But each one of us makes a sizeable impact on the lives we touch. And that...is a very cool thing.